Mercy is a disposition of the Heart of God. When we reveal the love of the Heart of God, we are instruments of mercy. And closeness to the Heart of God draws us close to those for whom God has a special love – the forgotten and excluded. – when have you experienced God’s mercy? 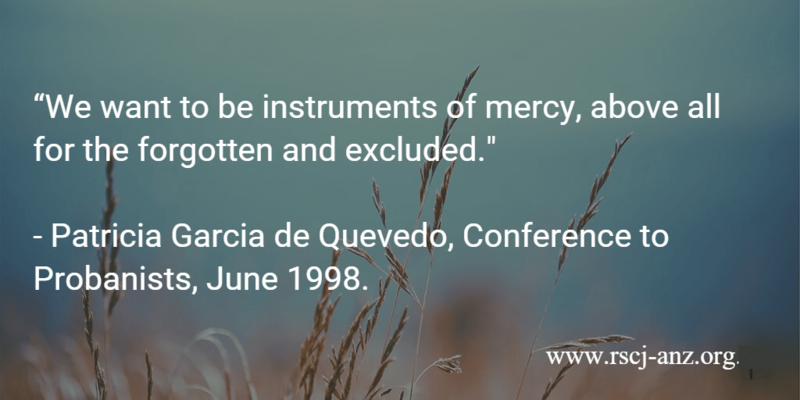 – in what ways might you act as an instrument of mercy? – who are the forgotten and the excluded in your local community?